Come practice performing your tune and song selections for the Midwest Regional Fleadh competitions for a practice adjudicator (CIM instructor). This is a great opportunity that will help you to feel confident and prepared at the actual competitions. We have reserved 4 instructors for 3 hours for the practice fleadh. As such, each student is allowed to sign up for 2 slots each initially between now and April 7th. After April 7th, we will open all remaining times up to students to sign up for more time. Please reserve a 20 minute slot for each competition, no matter what the competition is (solo, duo, trio). Please have your instruments tuned and out of their cases before you meet with instructors. 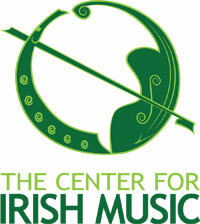 10:00am - U15 ceili band performance in CJS2 - open to public! When you sign up, please put your name(s), instrument and competition in the comments section. Thanks! Please email me if you have any questions. 2019 Practice Fleadh: Mary V.